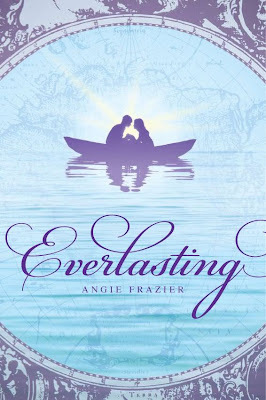 This week’s interview is with the amazing Angie Frazier author of Everlasting, copyright 2010 by Scholastic books. How did the idea for Everlasting come to you? It came to me in pieces, but originated with the vintage travel posters that were on the ceiling of the caretaker’s cottage I was renting one winter. My fiancé (now husband!) and I were pretty much snowbound a lot that winter and I spent a lot of time inspecting those posters for lack of entertainment! There were a bunch for places in Australia, and I knew I wanted to set the store there. I was looking to write something fiction and adventurous, and it all came to me from there. What songs do you imagine playing through the book? Cider House Rules, Braveheart and Last of the Mohicans to name a few. Are Oscar and Camille reminiscent of any other literary or real life characters? No, not really. When I wrote their characters I paid close attention to not modeling them after real life people. I did give Oscar my husband’s awesome, muscular shoulders (waggles eyebrows) but other than that, they are their own creations! inspired by my book and characters totally blows me away. two little girls. Then I get back to writing! What research did you do for the book if any? I did a ton of research. It feels like a literal ton, too. Just about everything on every page had to be researched, and I very much enjoyed it. Especially the ship and ship life aspects. Those were the most challenging! Favorite scene to write or read? traveling through the mountains and stop at a pool of waterfall runoff. I love when Camille sees Oscar’s scars on his back for the first time. Is Umandu based on a real legend or any other folklore? stories and mythologies surrounding the restoration of life. We see it everywhere: in books, in movies, in fairytales. I think I chose to weave a new legend because I’ve always been fascinated by life and death, what waits for us beyond, and the loss of control people have over when and how they die. Where did the sailing influence come from? In your mind’s eye who does Oscar resemble? he holds himself, even his voice. But I can’t clearly picture his face. I could re-read Pride & Prejudice once a year, along with Ethan Frome by Edith Wharton. I also loved M.M. Kaye’s Trade Wind. More recent books I love include The Season by Sarah MacLean and The Winter Rose by Jennifer Donnelly. 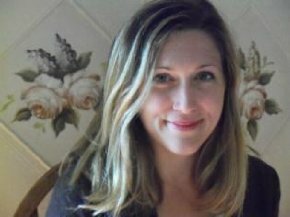 Thank you so much to Scholastic books and Angie Fraizer for the interview. 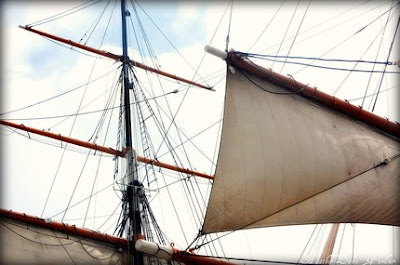 Comment on this post to enter to win an 8×12 of our Ship’s sail photo (see above) from the LittleredReads Everlasting inspired collection on Etsy. Original photography by Heather Zahn Gardner. Contest ends September 17, 2010 and is open internationally. This is one of the most exciting book stacks I have had in a long time! SCORE. I’ve been wanting to read these books forever and they finally came in the mail yesterday. Dug into them rigth away and am swept away in book land. We are giving away Hattie Big Sky as I have read and have a copy already. 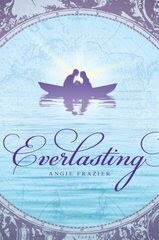 I just watched the new book Trailer by Vania of VLC Productions for Angie Frazier’s book Everlasting. Can not wait for the mail man to come this week since I ordered it! Double click to view it full frame on YouTube.